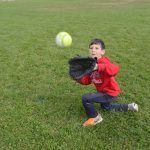 At the heart of North Star’s athletics program is softball. 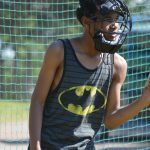 It represents so much about our philosophy on athletics as it really has something for every camper, regardless of his skill level. 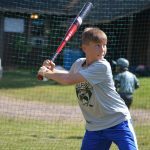 Further, for some campers, athletics is about just playing the game to have fun while for others it is to play a more high level game or work on their skills. Softball does all of those things. 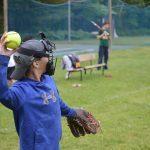 During project periods campers come to softball both to play games and to improve their skills. 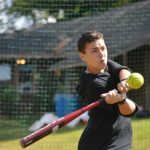 Our instructors use a variety of active drills and exercises to help campers work on hitting and fielding techniques. 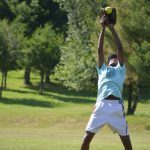 There is also plenty of game play during our instructional periods. 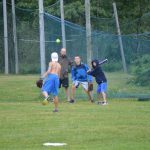 Softball is also one of the more popular choices during cabin challenges. 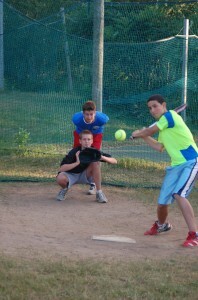 Softball is also an important part of our organized free periods, United Nations Day and during other special programs. 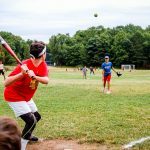 On Pow Wow Day, we play a hybrid game that is a combination of softball and home run derby… a real favorite of our older campers.